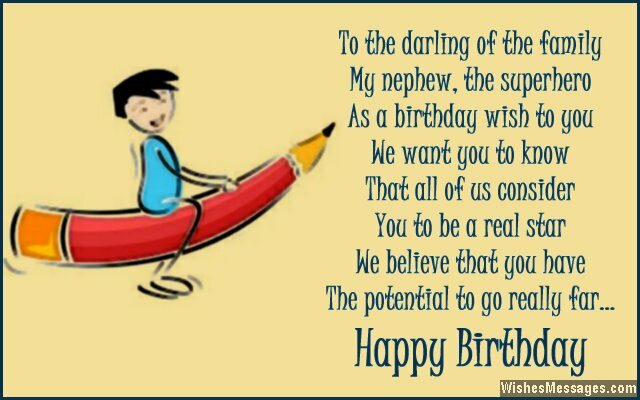 Birthday poems for nephew: In an ideal situation, aunts and uncles share a special kind of relationship with their nephews. Unlike a parent-son bond, this relationship is more about pampering and spoiling rather than nagging and scolding. This is why people carry fond memories about their aunts and uncles from their teenage years. 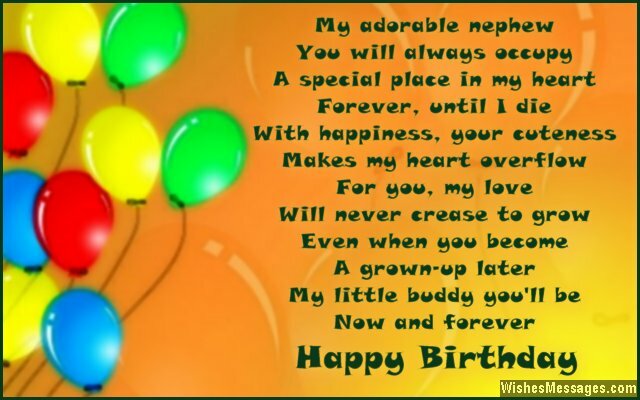 Write a cute poem on a birthday card to let your little nephew know how special he is to you. From cool quotes to sweet messages to funny rhymes – make sure your greeting stands out from everyone else in the family. Don’t forget to follow up your wishes with a gift that he will love and go nuts over. 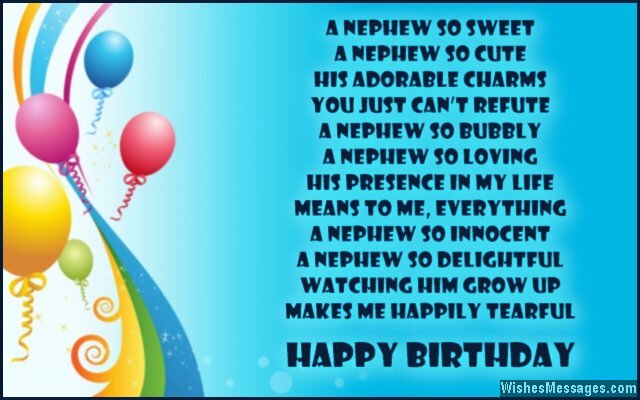 Your nephew’s birthday is the perfect moment to cement your status as his favorite aunt or uncle. Don’t let it slip by.